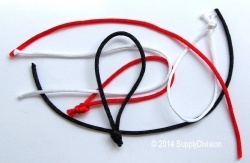 Trade & wholesale supplies of narrow cords from approximately 1mm diameter to 2.5mm diameter. Please go HERE for other sizes. Most of our cords could be supplied to order in cut-lengths, tied, clipped loops or with "T" tag ends.If you cannot find exactly what you require please email us with the details. 1.25mm Polypropylene cord, 250m reel. 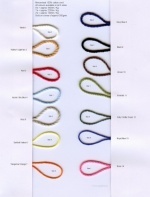 1.75mm approx diameter multi-coloured twisted rayon cord. 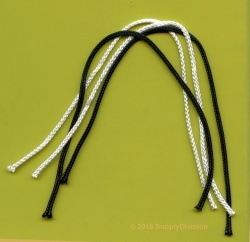 Approx 1.3mm Braided Nylon cord pre cut & bagged in units of approx 500pcs. Fine, Nylon cord on approximately 280m rolls. Approx 2.5mm Rat-tail cord sold on 50m or 100m reels. Approx 2mm Rat-tail cord pre cut & bagged in units of approx 500pcs. 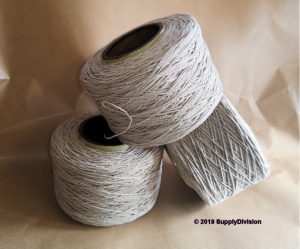 Fine mercerised cotton cord 500gm cones. Currently being withdrawn. Please call for stock availability. Fine mercerised cotton cord 500gm cones. We regret that this item is currently being withdrawn. Please call for stock availability. Bio-degradable; Approx 1mm natural flax cord. Cut lengths. 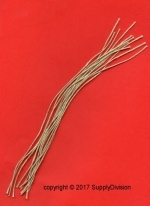 Bio-degradable; Approx 1mm natural flax cord. On 250m(approx) spool. Bio-degradable; Approx 1mm natural flax cord. 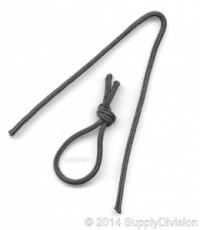 Tied loops bundled in 50pcs. Bio-degradable Approx 2mm natural jute cord, twine. Cut lengths. Bio-degradable; Approx 2mm natural Jute cord. Tied loops bundles in 50's. Bio-degradable Approx 2mm natural jute cord-twine. Approx.500m spool. Premium, fine cotton cord by Kg. Approx 2.5mm R84P(P) cord pre cut & bagged in units of approx 500pcs.